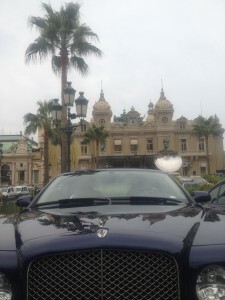 Nice Airport Transfer to Cannes, Monaco, Antibes, Cap d’Antibes : Check the price given by Hotel Reception! Pouvez-vous faire confiance aux prix donnés par les équipes de réception d’hôtel pour votre transfert aéroport de Nice et leur demander de faire la réservation de votre taxi privé ou minibus pour aller à Sophia Antipolis, Cannes, Monaco? La réponse est non pour plus de 85% des hôtels de la Côte d’Azur ! L’équipe d’Angelcab considère que le travail d’une équipe de réception d’un hôtel ou d’un concierge est de vous procurer le meilleur prix et surtout le meilleur service pour votre trajet Taxi Aeroport de Nice. Are you a clever traveller or do you think you can trust Airport Transfer Price from Nice Airport to Cannes, Monaco, Cap d’Antibes, Sophia Antipolis given by the reception of the Hotel you have booked? We have seen incredible prices for one airport transfer from Nice Airport to Cannes, Monaco, Antibes, St Tropez, given by the reception of some nice hotels ! Imagine one transfer from Nice Airport to Monaco billed 800€! Or a private taxi from Nice Airport to some famous golf hotels near St Tropez billed 600€! 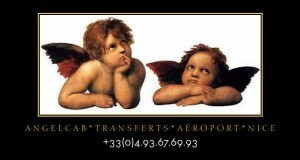 Some of our customers have saved around 500€ on Nice Airport Transfer Shuttle to St Tropez, Monaco! We really think an airport transfer from Nice Airport must be billed the right price for the best service! We really think that hotel reception of luxury hotels on the French Riviera have to stop their incredible prices! We really think that no commisions have to be paid to the Hotels for an airport transfer from Nice Airport to Cannes, Monaco, St Tropez, Cap d’Antibes, Antibes and any destinations on the French Riviera Côte d’Azur! We offer you the Best Service for the Best Price for your Airport Transfer from Nice airport! We know every Nice Airport Transfer firms and each drivers ! 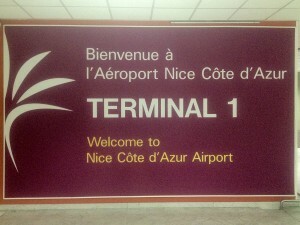 Please check your price for your Airport Transfer from Nice Airport!